The housebird is also seen as an accessory in many of the Eames' photographs, the bird figure was from the Appalachian mountain region of the eastern United States. Based on the original artifact and in cooperation with the Eames family, Vitra is now producing the first series of this figure. 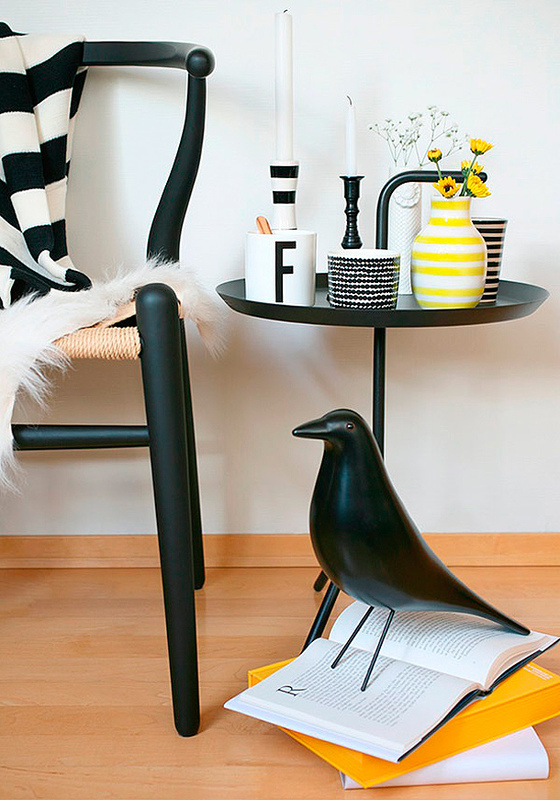 The Eames house bird is made from solid Alder with a black lacquer finish and steel wire legs.